But the sewage is having an adverse impact on other marine life. 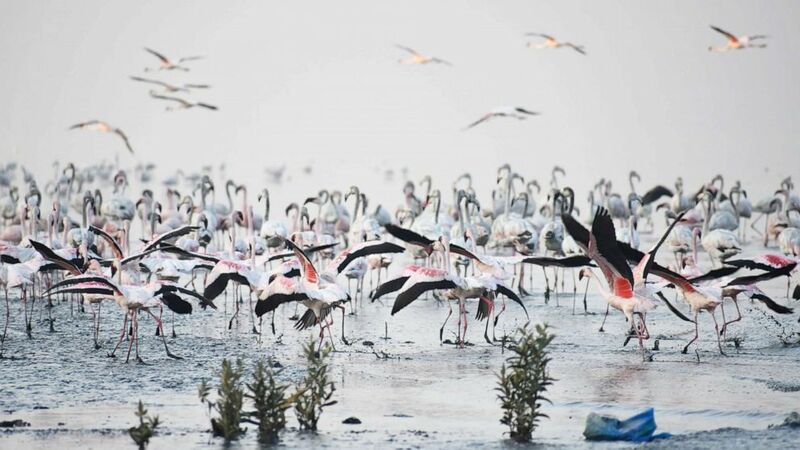 Conservationists in India believe that an increase in sewage runoff from the city of Mumbai into the Arabian Sea has led to a dramatic increase in the city’s flamingo population, as the polluted waters provide an ideal breeding ground for the iconic pink birds. Flamingos have been migrating in large numbers to Mumbai’s eastern seafront, known as the Thane Creek, since the late 1980s but previous estimates suggested there were only around 50,000 flamingos living in the area. In January, however, the Bombay Natural History Society (BNHS), one of India’s oldest conservation societies, undertook an official count of the birds and discovered that there were now 122,000 flamingos in the Thane Creek, more than double previous estimates. The flamingos are flocking to the Mumbai coast in part “due to sewage and warm waters” in the Thane Creek area, according to Rahul Khot, the assistant director of the Natural History Collection Department at the BNHS. (Praful Gangurde/Hindustan Times via Getty Images) People visit Flamingo Sanctuary In Thane, on the occasion of wetlands day on Feb. 2, 2019, in Mumbai, India. The rise in the flamingo population is “excellent news” despite the need to “work to clean the highly polluted eastern sea front,” Deepak Apte, Ph.D., director of the BNHS, said when the report was first released in January. Conservationists are particularly pleased with the increase in the number of Lesser Flamingos, which are a “near threatened” species, according to the International Union for Conservation of Nature. Another species of the bird, called Greater Flamingos, are far more common. The increased pollution is likely to have a negative impact on the local wildlife in the near future, according to Debi Goenka, the executive trustee of the Conservation Action Trust, an environmental organization. (Indranil Mukherjee/AFP/Getty Images) Birds look for food on a sewage drain littered with plastic and a garbage in Mumbai, India, May 14, 2018. (Vikas Khot/Hindustan Times via Getty Images) Flamingos are pictured at Sewri Creek in Mumbai, India, March 27, 2006. 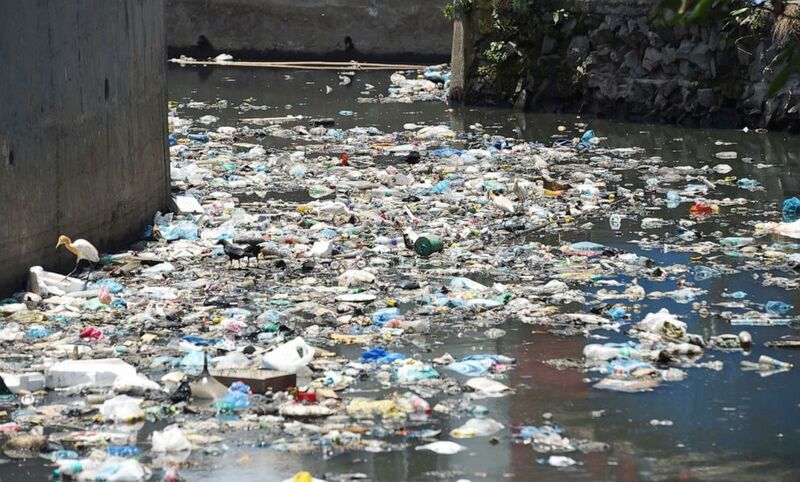 While the number of flamingos is on the rise, the sewage in Mumbai has already had an impact on the creek’s ecosystem, and could even impact the economy as local fish become inedible. Mumbai has one of the most polluted coastlines in the world, according to the Times of India. A survey conducted by the same newspaper found that the “dumping of debris and effluents” in the sea was posing “a grave threat to marine life” in 2016. The discharge of sewage water was the main factor in the rising levels of pollution.